Depression is one of the most common mental health conditions in the world. Yet, many people who struggle with depression may not even realize it because they’re unaware of the symptoms. 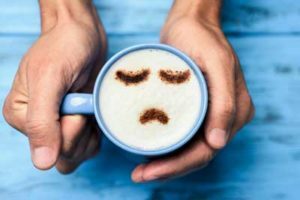 Understanding as much as possible about the symptoms of depression will make it easier for you to seek out the treatment necessary to manage it. Depression can affect people in different ways. It also comes in different forms. Someone with depression may be able to function normally through their everyday life. Someone else struggling with it may not be able to get out of bed in the morning. Here are 7 important things you need to know about depression symptoms. Most people associate depression with a deep sadness. However, you may not recognize that sadness because it’s masked by other symptoms. Sometimes we do this unknowingly, and sometimes we do it by choice so we don’t feel weak. Sadness is often covered by feelings of anger. So, if you feel like you have a short fuse or you’re easily irritable, consider what might be lying underneath the surface of that anger. As you can see, there are many different possibilities in the way you can experience symptoms. But, if you’re really struggling with this condition, it’s likely you’ll experience more than one. Don’t feel as though you have to be put in some kind of box when it comes to your depression symptoms. If you do recognize that you have any of the symptoms listed above, it’s important to seek out some type of treatment immediately. Unfortunately, that often isn’t the case in today’s society. Despite depression being so common, there is still often a negative stigma surrounding it. This can easily make those who are struggling with it scared to come forward. As a result, symptoms become worse, and the condition becomes more debilitating. It’s normal to have some fears about coming forward with your depression. But, it’s the best thing you can do to manage those symptoms. Even though depression is a common problem, many more people would likely be diagnosed with it if they were honest with themselves. It’s not a black and white condition. It should actually be viewed as a condition on a spectrum. It’s not a matter of whether you have depression or you don’t. If something feels off in your life and you do have a sense of underlying sadness, you shouldn’t be afraid to find a treatment solution. Even if your sadness seems “small” compared to others who are struggling, it doesn’t mean you aren’t suffering. Along with the emotional symptoms listed above, some people actually experience physical pain from depression. Again, it manifests itself in many ways. So, the more you understand about it the easier it will be to know when to get treatment. Many people suffering from this condition experience things like aches and pains, cramps, headaches, stomach issues, and more. It’s very unlikely that you’ll just “get over” your depression on your own. Treatment is often needed in order for someone struggling to start to feel better. You may start out by going to your normal healthcare provider. After sharing your symptoms, they may encourage you to see a mental health professional. Or, you can seek out help from a mental health professional on your own. You can absolutely do things in your own life to help with your depression. Having a support system, exercising, eating well, finding things you enjoy doing – these are all great ways to manage your symptoms. But, professional treatment is usually the only way to really learn how to deal with your depression in an in-depth way. Because this condition is different for everyone, it only makes sense that no two treatment plans are exactly alike. Some people are given prescription medication. Others strictly take a counseling/therapy approach. Some require a combination of both. Your depression is unique to you. Finding a professional to talk to about your symptoms and what you’re feeling is the best place to start when it comes to feeling better. Don’t ignore your symptoms, and don’t be scared of the stigma. Again, the more you know, the sooner you can start to see the light at the end of the tunnel. Contact me today if you’re ready to deal with depression symptoms.